2. A Grade Product Heat & scratch resistance; Low water absorption. SAFETY FOR dishwater, refrigerator, microwave oven, disinfection cabinet. 3, Quick Delivery Products in stock 1-3 days, out stock 30-35 days; 4, Logo Custom We accept and support customizd Logo. When all the goods ready, we will take photos,then you could check it. When we receive your rest payment, we will delivery the goods at once. , so the quality and prices of our materials are superior to others. 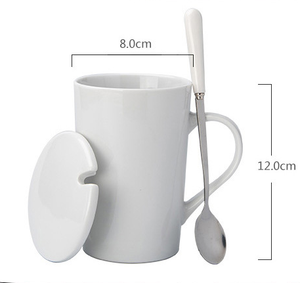 Alibaba.com offers 10,208 ceramic cups for sublimation products. About 76% of these are mugs, 5% are cups & saucers, and 1% are coffee & tea sets. A wide variety of ceramic cups for sublimation options are available to you, such as ce / eu, fda, and ciq. You can also choose from porcelain, bone china, and stoneware. As well as from free samples, paid samples. There are 10,203 ceramic cups for sublimation suppliers, mainly located in Asia. 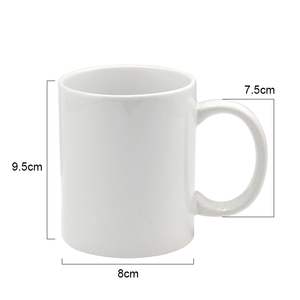 The top supplying countries are China (Mainland), Singapore, and United States, which supply 99%, 1%, and 1% of ceramic cups for sublimation respectively. 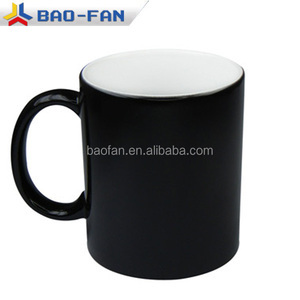 Ceramic cups for sublimation products are most popular in North America, Western Europe, and South America. You can ensure product safety by selecting from certified suppliers, including 2,134 with Other, 1,774 with ISO9001, and 410 with FSC certification.